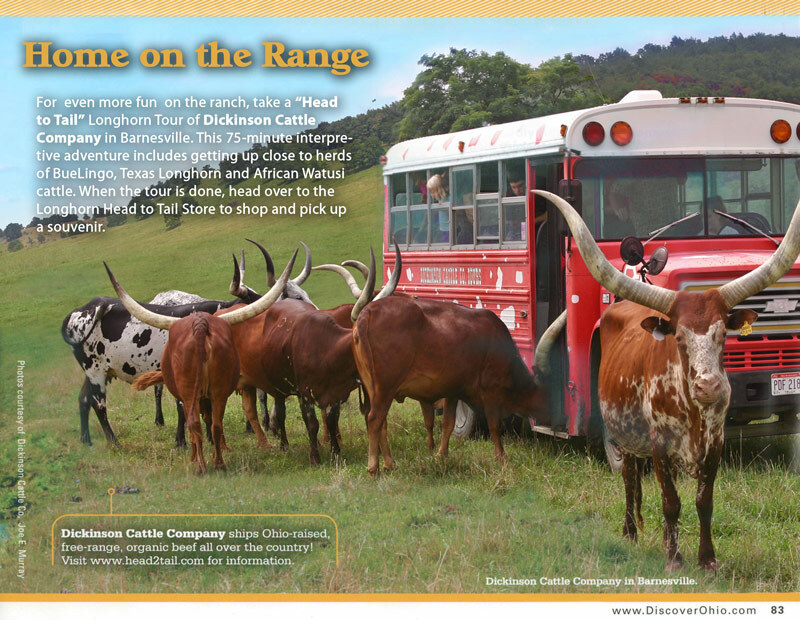 A BIG THANK YOU to the editors of the OHIO STATE TRAVEL PLANNER for featuring Longhorn Head to Tail Tours on page 83 of the annual publication. 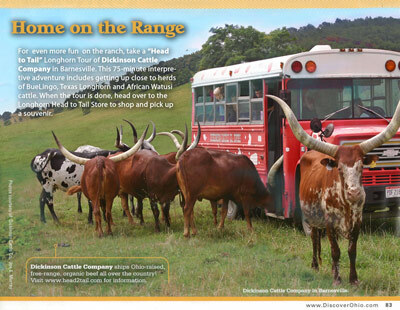 Their photo selection of the bright red ranch bus with a few of the African Watusi cattle herd was a stand out in the publication. The ranch phone has been ringing off the wall since release of the publication. Plan to look forward to the Summer tour season of Dickinson Cattle Company in eastern Ohio, Belmont county. The first calf was born yesterday. By June, up to 600 new born calves will romp the pastures and greet ranch guests, running around the bus and eating hand fed "cow candy." The spots, the specks and colors that rival the rainbow make a perfect photo opt for every attendee. See you this Summer. For reservations, 740 758 5050, call Teu.